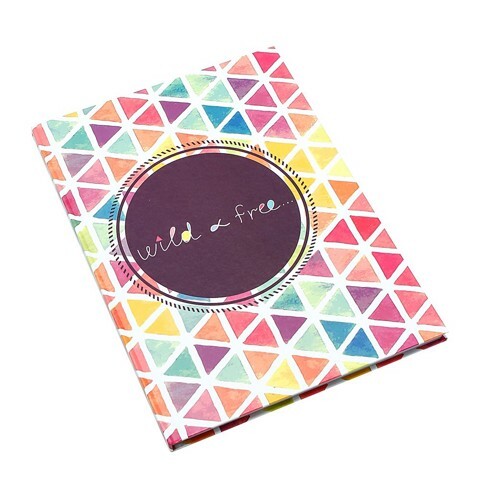 Note Book Hardcover Pr. 100Pgs A4. 21 x 29.7 x 1.2cm. 5 Assorted Print Designs - Flamingo | Gold and Black Waves | Scooba Pug | Wake Up and Be Awesome | Travel Scenes. 60gsm White Paper 100gsm | 128gsm Cover | 1.5mm Board - Full Colour Print. 0 Packaging: Bulk Pack.